It’s a fantastic meeting of minds, a meeting of eco-minds at that! The 2017 National Sustainability Summit is set to be held on the 31st January, in the Citywest Hotel, Dublin. The purpose of the Summit is to create a forum, where business leaders, innovators, regulators and government can come together. Discussions will centre around the commercial opportunities in the emerging green economy, as well as the challenges and pitfalls of achieving sustainability. The annual event measures how industry is progressing and how Ireland competes with its European counterparts. Check out their website here for more details and a full agenda. The event in 2016 was hugely successful, with 1000 visiting delegates, over 80 speakers and over 50 exhibitors, offering cutting edge technology and services. This year looks set to be bigger and better, with 120 speakers (including our very own John Lynch!) set to take part. Summit organisers see the event as not just a social call-to-action, but a wake-up call for Irish business. They foresee significant penalties for government and indeed losses for business, in the event that these sustainability measures are not met. 2017 is the year for change! 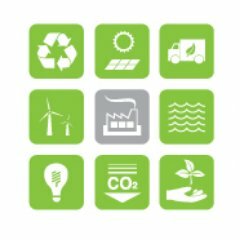 Water Management, Energy Efficiency, Sustainable Energy, Recycling, Waste Reduction, Sustainable Construction & Buildings, Sustainable Food, Sustainable Manufacturing, Sustainable IT, Sustainable Technology, Consumer Engagement, Sustainable Packaging, Sustainable Logistics and Supply chain, Regulations and Policy, Sustainable Investment, Tax and Legal issues, Sustainable Transport, And Much More …! The speaker line up is drawn from senior management from the largest and most influential Irish and international companies, who have delivered quantifiable eco results. Speakers come from areas such as pharmaceutical, food, aviation, retail, hospitality, food, construction, manufacturing, IT, logistics and supply chain and energy sectors. We are thrilled to be a part of the Summit, both as a speaker and an avid listener! Our very own John Lynch, Senior Sales Executive and Recycling Consultant extraordinaire, is set to take part in this year’s Summit and share his ideas with the biggest eco-minds in Ireland. 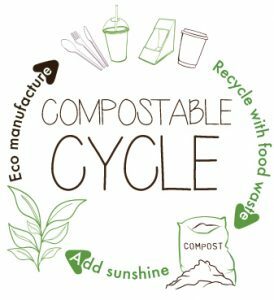 John has a professional accreditation in Composting Facilities Management from Sligo IT and is incredibly passionate about the ethos surrounding Down2Earth. John, and indeed the entire team here at Down2Earth, truly believe that compastables are a viable solution to some of Ireland’s biggest sustainability concerns in the food industry. 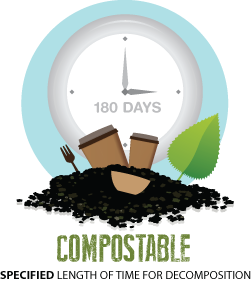 On Tuesday Jan 31st, John will present to the 1000-strong crowd, highlighting the overwhelmingly positive effects of making the switch to compostables, for the Irish events and foodservice industries.